Challenge: Johns Hopkins Hospital currently uses an identification tag system for their patients titled Ticket to Ride. Ticket to Ride allows patients to travel from point A to point B within the hospital while sharing important information with transport and medical staff. 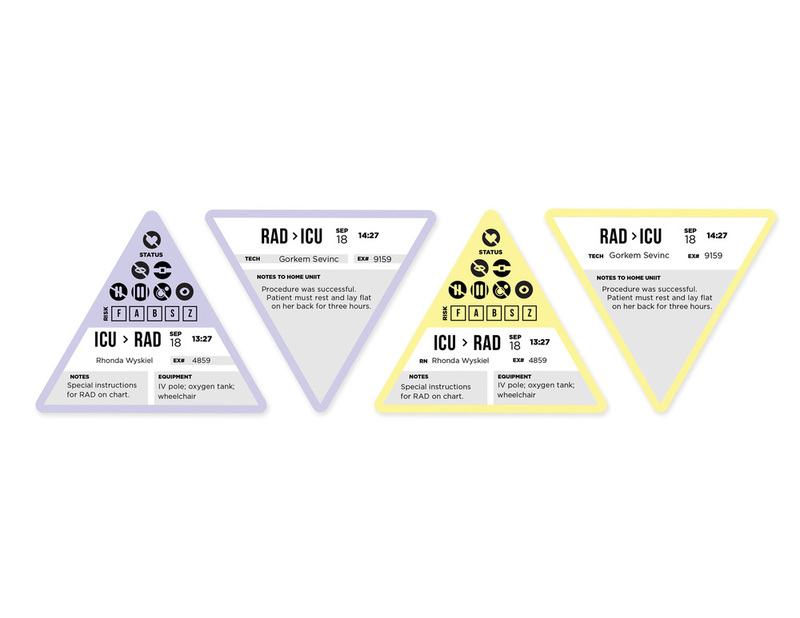 The problem with this system is that important information gets misplaced, patients are lost while navigating the hospital, and the staff often doesn't follow the intended process. Some patients have also found the tag dehumanizing. Objectives: Redesign the Ticket to Ride for the Armstrong Institute at Johns Hopkins while simplifying the information and process of the tag system for the hospital staff. 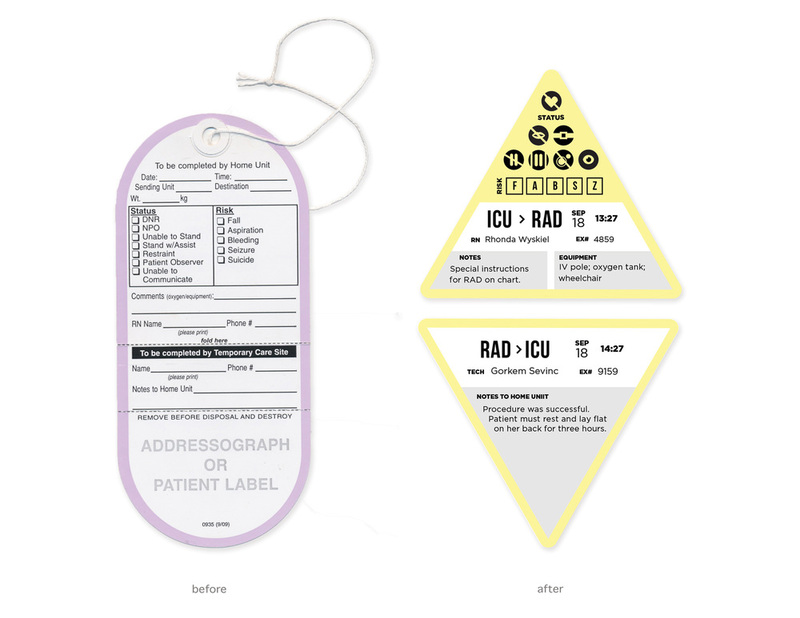 Create a more modern design that resembles a name tag and respects the patients privacy and personhood. Maintain a low cost per tag and allow the information to be shared and stored electronically.